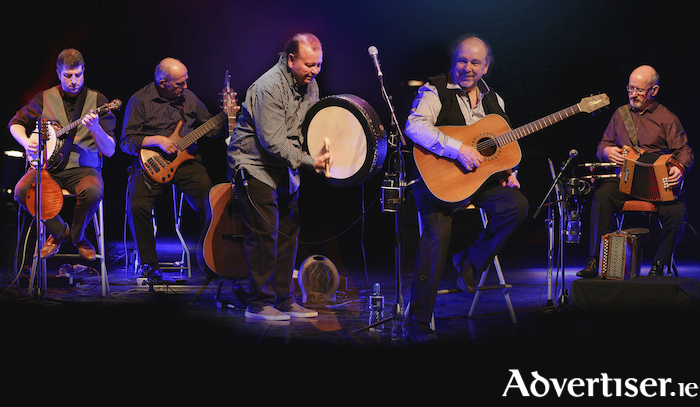 THE FUREYS, one of Ireland's finest folk bands, best known for songs like ‘When You Were Sweet 16’, ‘The Green Fields of France’, ‘Red Rose Café’, and ‘Steal Away’, play the Loughrea Hotel & Spa on Friday March 22. The oldest of the brothers, Eddie Furey, left home in 1966 and travelled to Scotland at the time of the folk revival. There he met and shared accommodation in Edinburgh with the then unknown folk singers Billy Connolly, Gerry Rafferty, and Alex Campbell. In 1969, Eddie and his brother Finbar, were the special guests for the Clancy Brothers and Tommy Makem in the USA and Canada. In 1971 Eddie moved to mainland Europe where he toured for seven years, enjoying success particularly in Germany. Dave Stewart of the Eurythmics has credited Eddie with teaching him his first chords on guitar when they met in England. The Fureys were formed in 1978 and have maintained a position of popularity among Irish folk fans since.